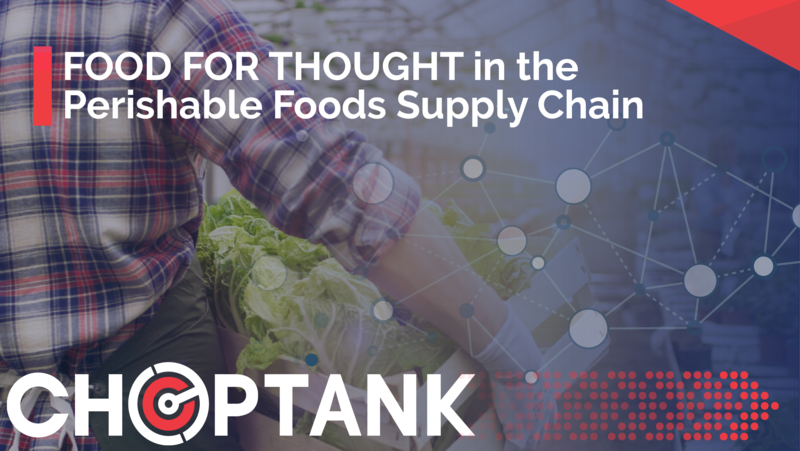 From cantaloupes to lettuce, the transport of perishable foods in the U.S. is a hot topic these days, especially for produce. In May we saw one of the most publicized food recalls in the nation's history. More than 200 people recorded illnesses related to the E. coli virus which was linked to romaine lettuce, with 90 hospitalizations and five people dying as a result. Last week, the CDC put out yet another food safety alert, stating, "The CDC is advising consumers, restaurants, and retailers not to eat, serve, or sell any romaine lettuce as it investigates an outbreak of E. coli O157:H7 infections linked to romaine." The warnings went on to say that if anyone had romaine lettuce in their refrigerators and did not know its origin, it should be discarded. As of today, the investigation is on-going. View the map where cases have been reported in November. In 2015 the CDC estimated that as high as 50% of all food-related illnesses come from produce. 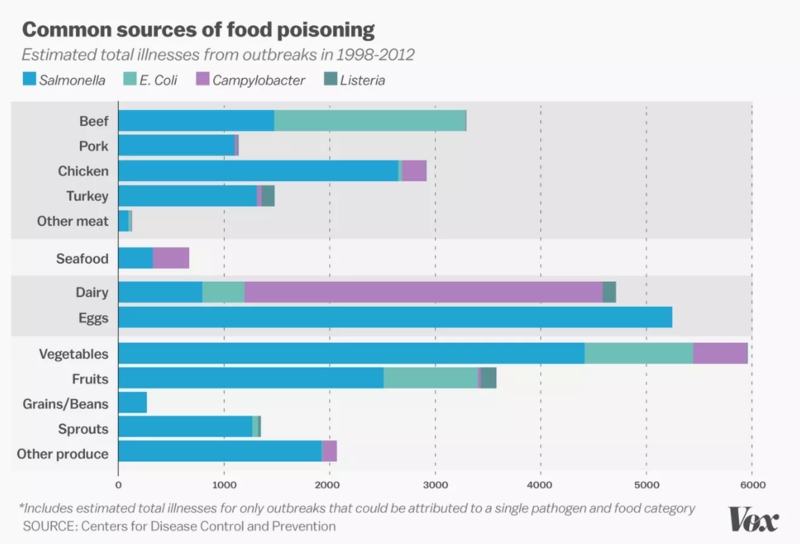 Food safety is a big deal and as we've seen, if precautions aren't taken with at-risk products, it can affect thousands of people over wide-ranging distribution channels. confinement, and $150,000 each in restitution fees to the victims," according to Food Source Online. Many considered them lucky for not receiving the maximum sentences which would have included six years in jail and fines totaling $1.5 million each. This case is one of the first on record where a food grower has been tried for criminal charges in reference to contaminated food. be no skipping steps or cutting corners to save time. People's lives are at stake, not to mention the other less-than-desirable consequences, such as hefty fines and jail time. 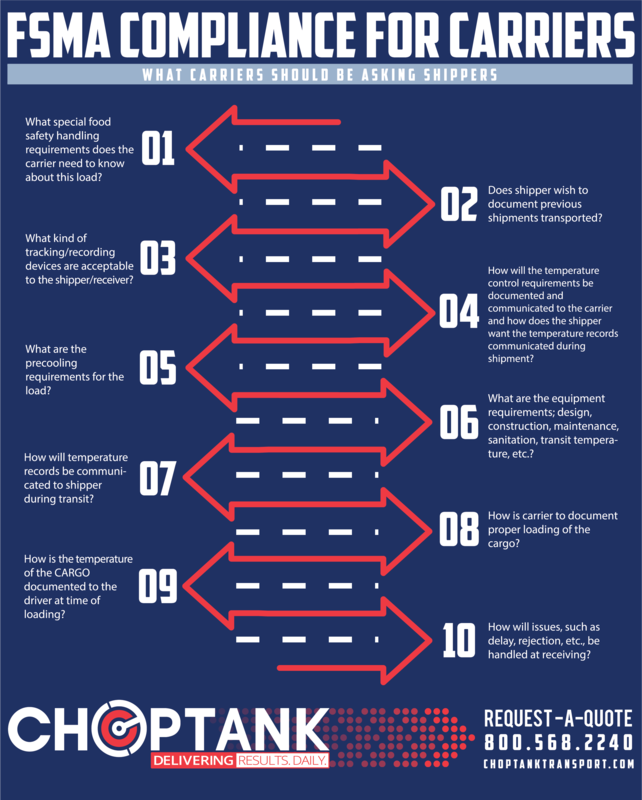 Third-party logistics companies like Choptank Transport follow a list of specific procedures using FSMA guidelines with every perishable freight shipment we handle. 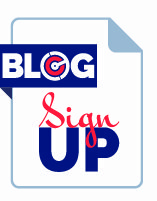 If you haven't checked with your 3PL about the SOPs they use to maintain compliance, now is the time to do so. 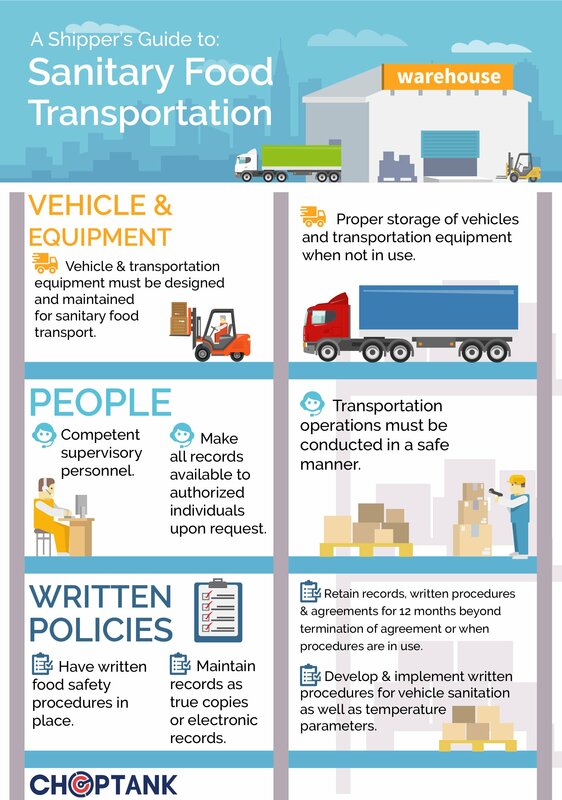 Check out these two quick infographics showing some basic responsibilities of shippers and carriers under the FSMA regulations.